Consumer Confidence Drop in March Expresses Economic Concerns. 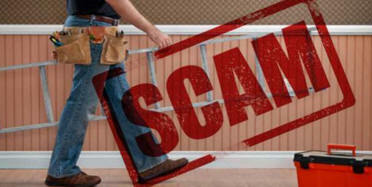 Northern NJ Consumer Council Helps Members Avoid Home Improvement Scams. ACC Annual Meeting Scheduled for June 14, 2019. ACC’s "Friend of the Consumer" Award Recognizes Outstanding Businesses. Apply for the 2019 Green CSM Certification Program. Consumer Confidence Drop in March Expresses Economic Concerns. The Conference Board released its Consumer Confidence Index® numbers for March and the news was not good. The CCI declined in March after increasing in February. The Index now stands at 124.1 (1985=100), down from 131.4 in February. The Present Situation Index – based on consumers' assessment of current business and labor market conditions – declined, from 172.8 to 160.6. The Expectations Index – based on consumers' short-term outlook for income, business and labor market conditions – decreased from 103.8 last month to 99.8 this month. "Consumer Confidence decreased in March after rebounding in February, with the Present Situation the main driver of this month's decline," said Lynn Franco, Senior Director of Economic Indicators at The Conference Board. "Confidence has been somewhat volatile over the past few months, as consumers have had to weather volatility in the financial markets, a partial government shutdown and a very weak February jobs report. Despite these dynamics, consumers remain confident that the economy will continue expanding in the near term. However, the overall trend in confidence has been softening since last summer, pointing to a moderation in economic growth." The monthly Consumer Confidence Survey®, based on a probability-design random sample, is conducted for The Conference Board by Nielsen, a leading global provider of information and analytics around what consumers buy and watch. 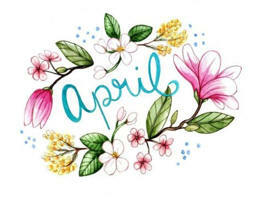 The cutoff date for the preliminary results was March 14. Northern NJ Consumer Council Helps Members Avoid Home Improvement Scams. Since November 2018, the Northern New Jersey Consumer Council (NNJCC) has been working closely with its members to resolve home improvement complaints. In 2018, there were more than 900 complaints for faulty, poor or fraudulent home improvement work. The New Jersey Division of Consumer Affairs also has been actively pursuing home improvement complaints and scams, which represented nearly eight percent of the total number of consumer complaints filed with the state. The consumer division has made investigating home improvement scams a top priority. The total number of complaints has fallen from prior years in part due to the creation of a NJ Consumer Service Center that helps resolve problems quicker without requiring formal complaints. 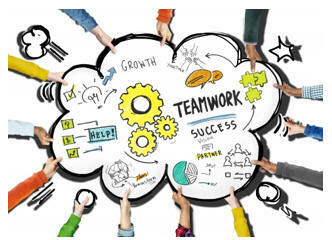 NNJCC has also taken a pro-active approach in helping guide its members through the complaint process and contacting many questionable businesses that have operated without a bona fide contractor’s license from the state. The American Consumer Council has released a new video as part of its financial education series. The latest video, which targets Millennials, is entitled, "Essential Checklist When Getting Married." ACC’s financial education video series is designed to help consumers, especially Millennials, better manage their finances and get access to financial services. 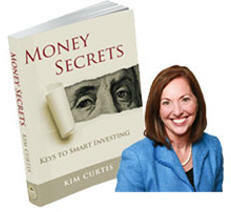 The free series is available online at http://www.americanconsumercouncil.org/videos.asp and features certified financial planner and author, Kimberly Curtis, who is a popular author, speaker and the CEO of The Wealth Legacy Institute in Denver, Colorado. The video series has been well received by Millennials (18-30 year old) and has encouraged over 6,000 Millennials to join credit unions since September 1, 2016. Click on any of the links to watch these videos. The American Consumer Council’s president Thomas Hinton, stated “Millennials (ages 18-30) want timely information delivered through short videos to help them better manage their money and debts. This series answers many of their questions and encourages Millennials to seek out the services of credit unions that are skilled at providing a broad range of financial services at very competitive rates." According to ACC's research, there are over 75 million Millennials in the United States and nearly 42% have not established any financial services relationship with an insured financial institution. 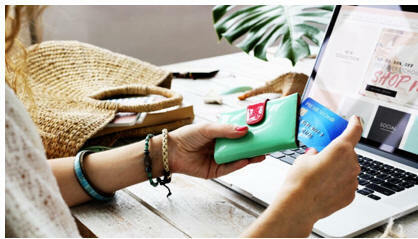 The American Consumer Council is currently promoting a series of financial education videos for Millennials that will be continue into 2020. ACC expects a strong response to the video series given the number of inquiries ACC has received from its 243,000+ members. ACC Annual Meeting Scheduled for June 14, 2019. The American Consumer Council will hold its annual membership and business meeting on Friday, June 14, 2019 at 10:00 am at the Park Hyatt Aviara, CA. The meeting is open to all members of ACC. The business agenda for the meeting will be published in May 2019. For more information, please contact ACC’s meetings department at 1-800-544-0414. ACC’s Friend of the Consumer Award Recognizes Outstanding Businesses. Is your business consumer-friendly? Does your business deserve greater recognition for its service to consumers? If so, you should apply for the American Consumer Council’s Friend of the Consumer Award. Now is the time to apply! To apply for the "Friend of the Consumer" Award, complete the online application and return it to ACC with the application fee. Applicants will be notified within 5 days of receipt of their application. Thereafter, a panel of independent judges will review your application and make a formal recommendation within 20 days of receipt of your award application. If your company or organization would like to increase its credibility with consumers, you should consider applying for the Green CSM Certification. Applications for the 2019 cycle are now being accepted through June 30, 2019.